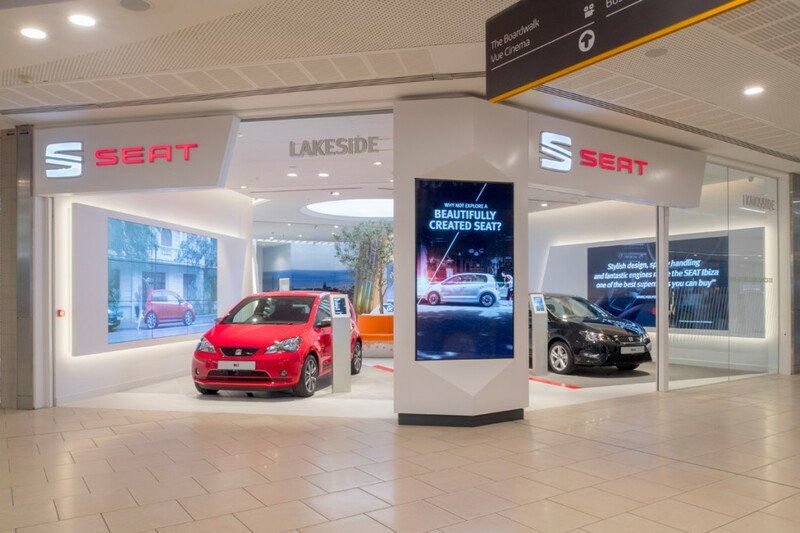 into were appointed to design and supply the lighting for SEAT’s recently opened store at Lakeside Shopping Centre. 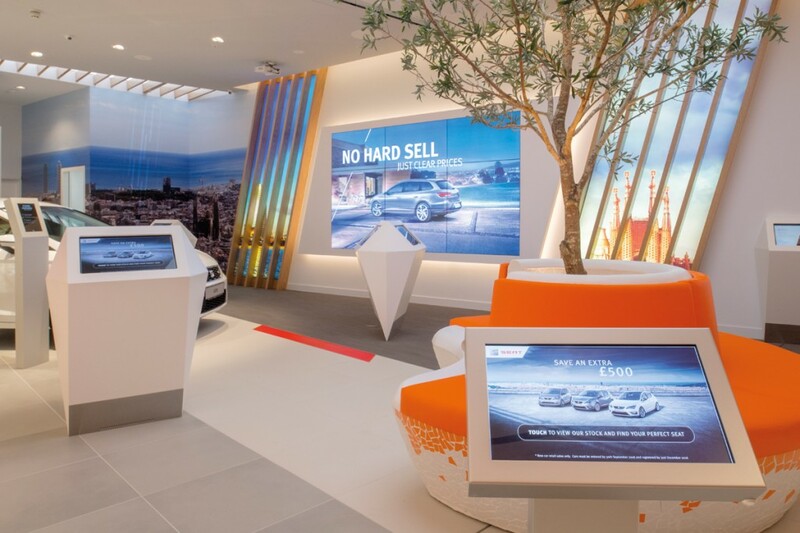 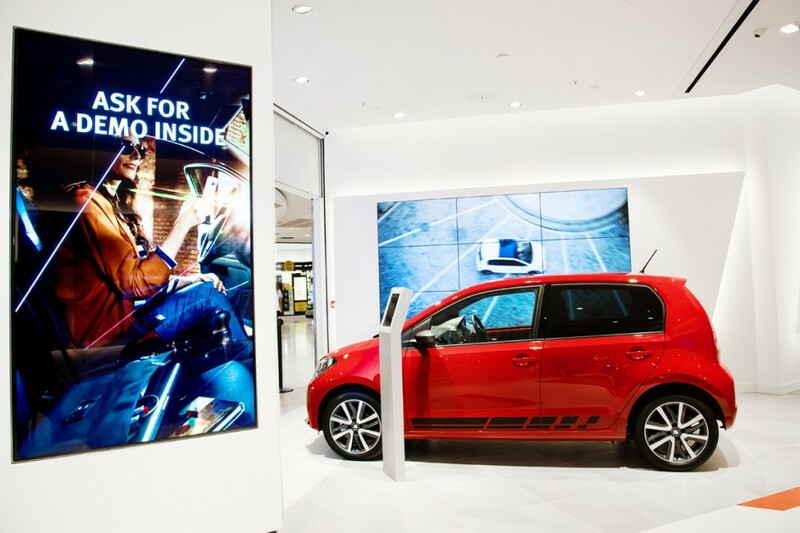 This site is a first for the car manufacturer, seeing a move away from the traditional dealership to widen their audience in a more modern and welcoming retail environment. 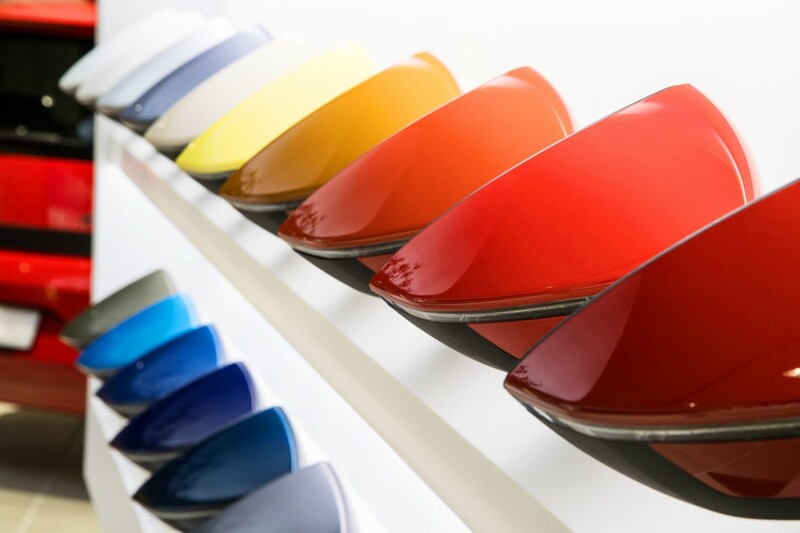 The store, designed by interior designers Green Room Design and constructed by Interior Precision, looks to bring a taste of the Mediterranean to Lakeside. 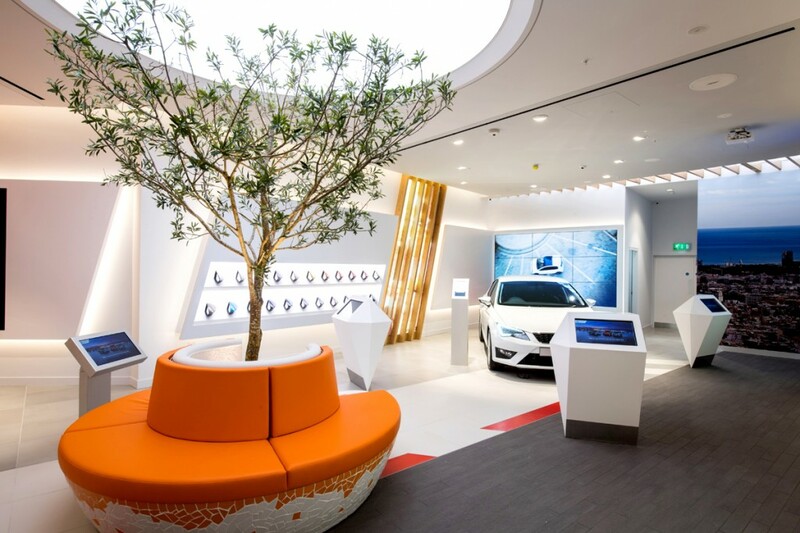 With a fresh, neutral palette a large central feature lightbox ceiling dynamically changes colour temperature and brightness to represent the movement of clouds and sunlight, highlighting and illuminating an olive tree underneath. 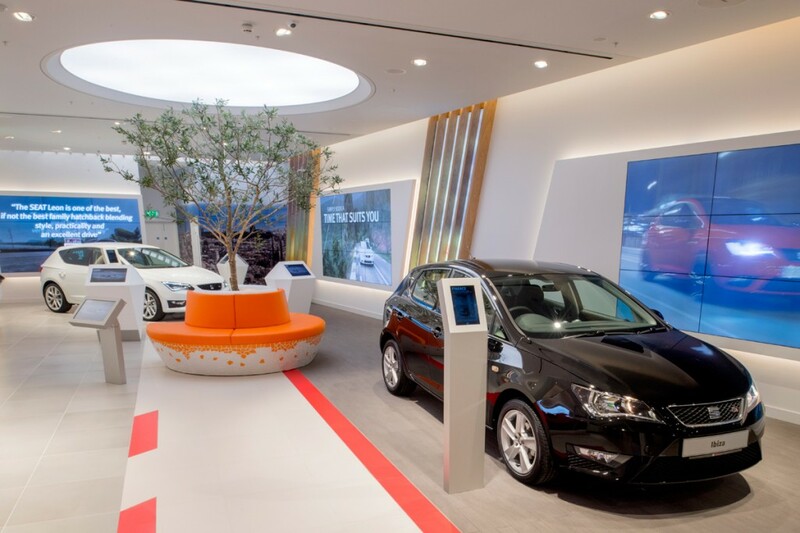 3000K LED adjustable downlights are positioned throughout to theatrically highlight vehicles, whilst a colour swatch “wing mirror wall” is lit with tunable linear lighting, and enables the customer to see how different car colours will look in warm and daylight environments.